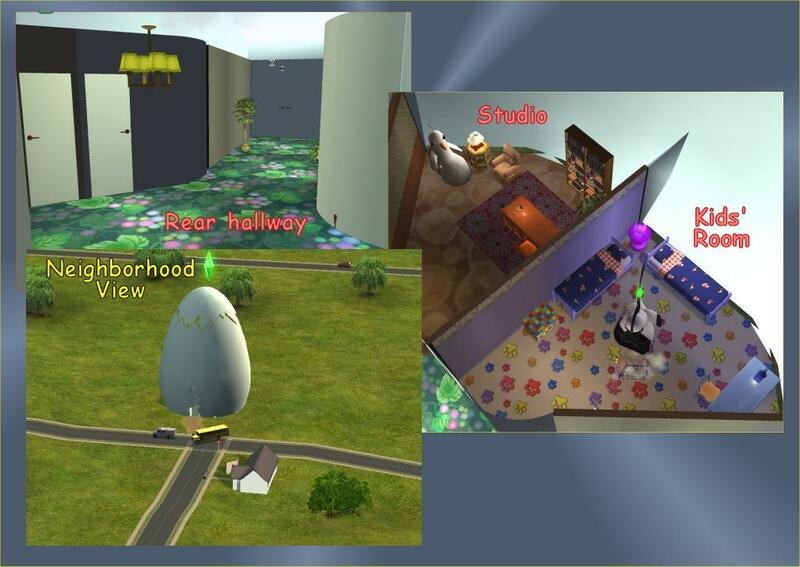 Mod The Sims - "Egg-House"
This unusual house was originally created for creating a series of sim-movies (to be aired on MTV) concerning the adventures of Chengwin and Chunk. In the screenshots, you can see the sim versions of Chengwin and Chunk, created by Janna for SimsConnection. They are NOT included, but you can download them for free HERE (external link). 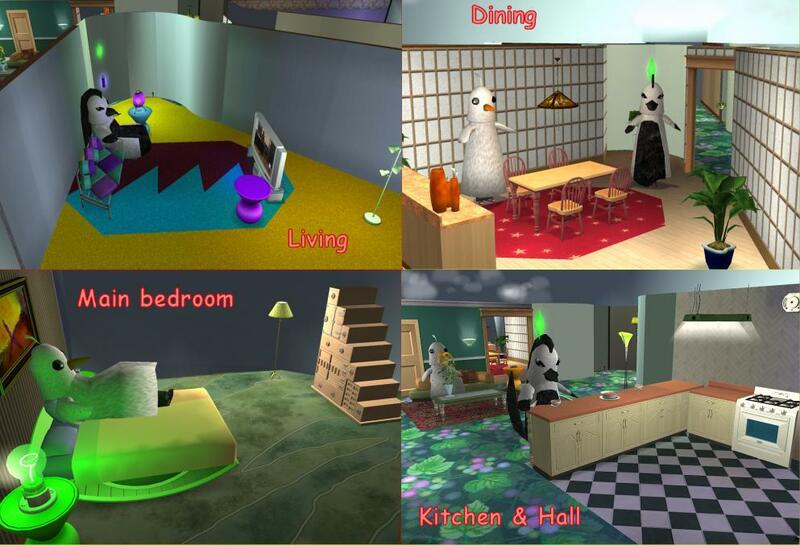 Game compatibility: any game, including base game; the lot has been created using the BaseGameStarter. The 8 parts that the egg-house is made of. Some elements from the WallWindow seamless set, plus the "Invisible Glass" recolour from the same thread. 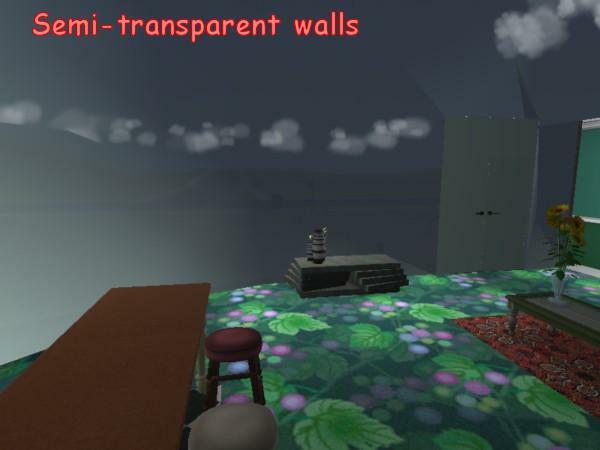 A special "egg-glass" recolour for the WallWindow, not available anywhere else but this Sims2pack. All the custom content has been created by myself. The egg-house is ready to be played; the egg mesh is divided into 8 pieces, that sorround the house. 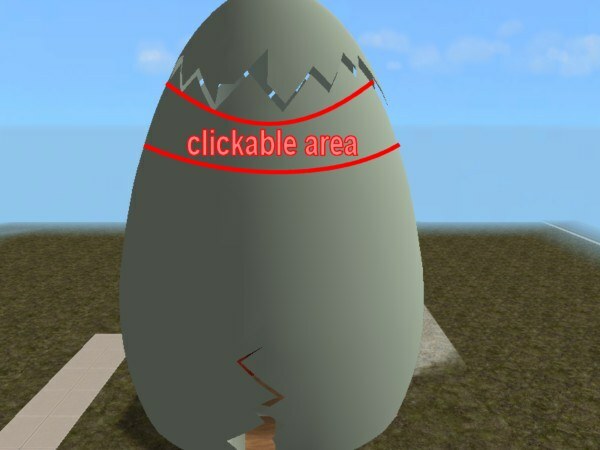 When you play the lot, you can make the various sections of the egg visible/invisible by clicking on the "clickable area" (see screenshot) and choosing "Toggle Section". Each section is autonomous. 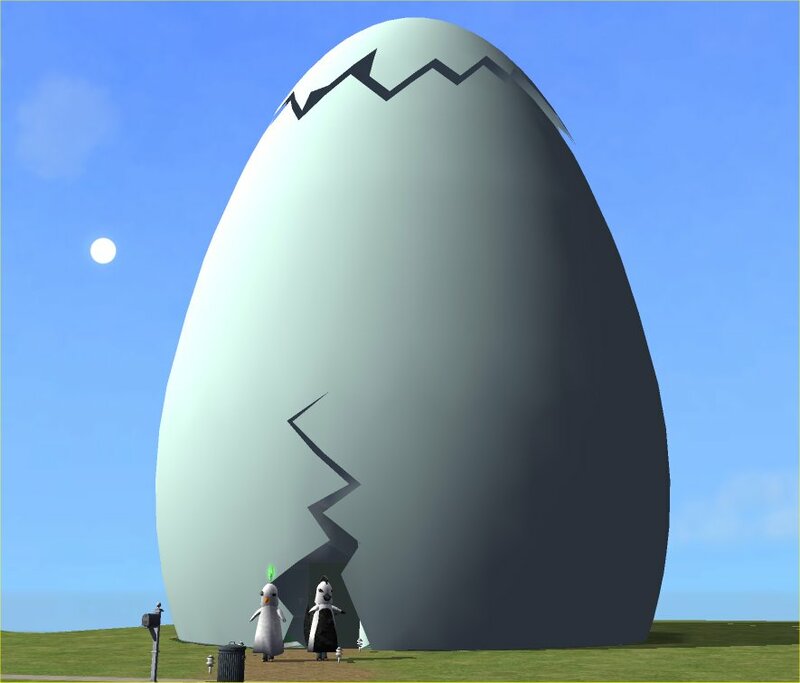 Normally, you don't need to rebuild the house, but in case you need the egg pieces, or if you want to build your own community egg-lot, you can "buy" the various egg sections ONLY opening the proper COLLECTION; you will NOT find the egg sections in the buy mode catalog. 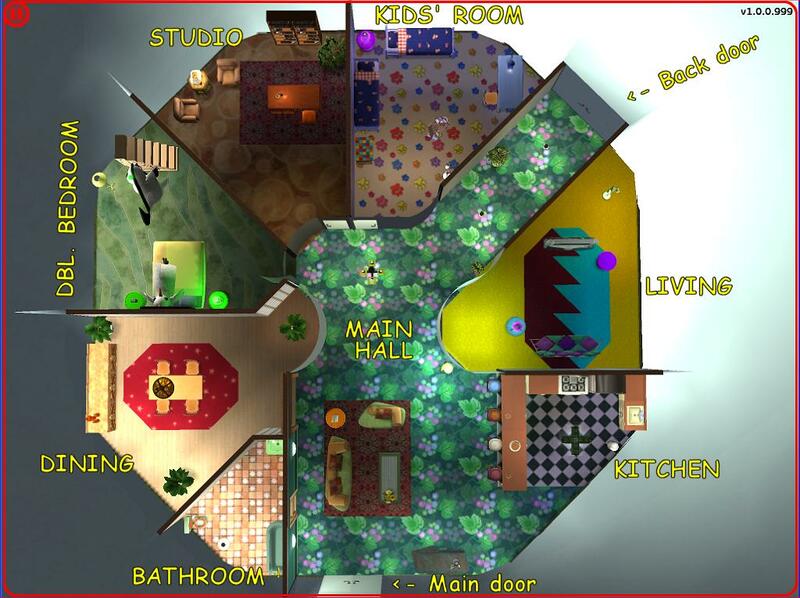 The lot itself is in Sims2pack format: install it using the Maxis installer, the Clean Installer or the Q-Xpress. The Collections, on the other hand, must be unzipped manually (no QX allowed) and put in: (documents)\EA Games\Collections. Credits to Ninapinacolada for the original interior layout (that I've heavily refurnished using Maxis content) and to Boblishman for the original egg mesh (that I've heavily remodeled, broken and split to fit the house). Thanks to Matt Murphy and Kurt Braunohler (creators and performers of the Chengwin and Chunk characters, and "wanna-be" producers of the Sim-Chengwin series ), and to Apryl Halbrooks (sim-movie maker) for their valuable input.